I used to always have trouble shopping for my sons. I’m not quite sure what it is about buying Christmas gifts for boys, but I always felt out of place, awkward, and I’ll admit- maybe even a little bit intimidated. As the mother of seven kids, four of which are boys, you wouldn’t think I would be intimidated by much, but for me, shopping for the boys Christmas gifts is just plain scary.Maybe it has something to do with the nightmare I had about being in the boys’ toy section at my local big box store. There I was, innocently shopping for boys Christmas gifts, when suddenly the section began to fill up with hundreds of unruly boys. They began climbing up display shelves, throwing balls and other items at each other, racing up the aisles on bicycles and riding scooters, screaming words like “POW” and “BAM” at top of their lungs, and before I knew it, a group of them began shooting Nerf bullets and rubber darts straight at me! With no place to go and no where to hide, I crumpled myself to the floor, curled up in a ball and pulled one of those massive beanbags over me for protection. Wait, maybe I’m thinking of my experience on Black Friday? Whatever the case- shopping for boys Christmas gifts sometime frightens me. In order to save what is left of my sanity during the holidays, I have started shopping for my four boys Christmas gifts online. Christmasgifts.com has such a wide array of products to choose from and links to unique merchants that I can find almost everything I need for all of my boys without having to battle the boys section. Stay safe and sane this holiday season and come check it out! I even listed a few of my boys’ favorite items below to get you started. Behold! It’s the futuristic Roboshooter Remote Control Robot who is here to obey your every command. 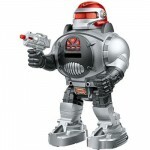 With a few really cool phrases, some astonishing sound effects, his disc shooting ability and of course, his amazing dance moves, this 30cm robot is certain to keep your favorite boy amused for hours. Watch it though- dad is going to want to play too. 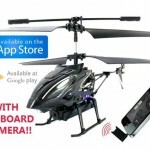 Remote Control Helicopter with Camera is definitely no exception. This 20cm copter is packed with features that I didn’t even know existed. 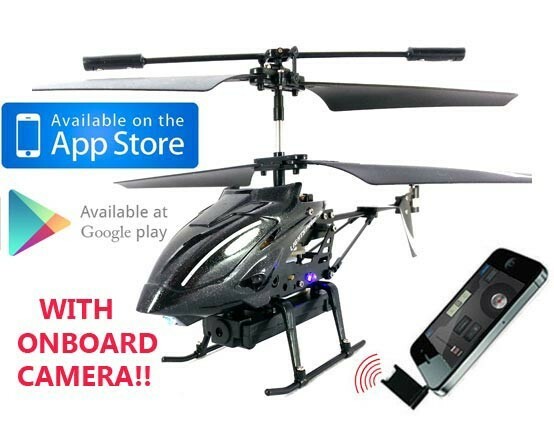 Not only does it include a pretty high speed camera that lets you view some serious flying footage, but your boy can even control it with his iPhone, iPad or Android smart phone or tablet. 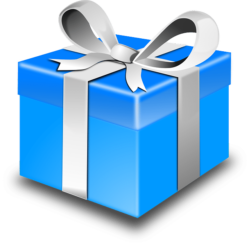 If you’ve got boys 14 or older on your list this year, this is the gift you need! 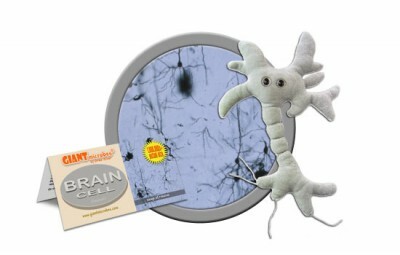 GIANTmicrobes Brain Cell is the perfect Christmas gift. 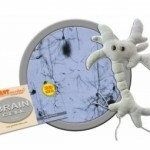 This plush toy is designed to look like a real brain cell, except it is about a million times the size and lots more fun to play with. It even includes a pretty nifty information card that is packed with fascinating facts about real brain cells so the geek on your list will enjoy it too.